For a warm, friendly and inviting dining experiencing, Anise Restaurant on West Row in the city will more than fit the bill. 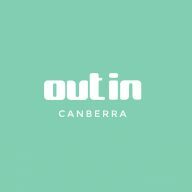 Located in the iconic Melbourne Building, Anise is situated among some of Canberra’s finest restaurants and wine bars. Opened in September of 2001 by husband and wife team Jeff Piper and Justin Kavanagh, Anise offers patrons a relaxed dining atmosphere with modern Australian cuisine. “Anise is a really nice blend of modern cuisine infused with flavors of Thailand, China, Japan and Greece and offers dining in a relaxed atmosphere,” Justin said. The neutral brown and beige colors used in the décor give Anise a really warm feel. The chocolate carpet and the caramel suede chairs minimise noise while the white tablecloths make the restaurant just that little bit more formal. Anise was recently awarded with three wine glasses by Gourmet Magazine as part of the Gourmet wine list awards. The restaurant holds six to eight wine dinners per year which usually include a set degustation menu with matching wines. The dinners are building quite a big following with people regularly attending the dinners and make Anise a little bit different from other restaurants in Canberra. Please click here for more information on Anise’s Ravensworth Wine Dinner tonight.